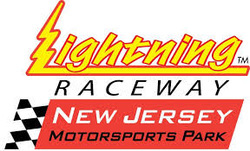 The USCRA is happy to announce it's return to New Jersey Motorsports Park again this season along with our Vintage Race Group (VRG) partners on September 18th-20th, 2015. As part of NJMP’s official ‘Vintage Weekend’, the USCRA will be running it’s second annual 'Garden State Classic'–Three days of the best in vintage motorcycle and sidecar racing on NJMP's Lightning course, it promises to be a fun and exciting close to our season. For those of you who joined us last year, we look forward to having you back on NJMP’s 1.9 mile, 10-corner Lightning course. A fantastic, fast, flowing track with a long straight, elevation changes, blind corners and a ‘Parabolica’ corner that seems to go on forever! If you haven't been on Lightning, you are in for a tremendous racing experience. For all USCRA club members, this is a double points event (double points each day of racing), so championships may hang in the balance! • There is the possibility of running a 2-hour endurance on Saturday if we can generate enough interest and have enough entries. This would be a separate entry fee. • We have also re-negotiated camping and electric hookup with the track and there will be NO ADDITIONAL FEES for either. This applies to all registered and paid participants. Tentative schedule and registration forms should be available before the end of July. Please check back on this site, the USCRA Facebook pages and the Yahoo Group for all forms, etc. 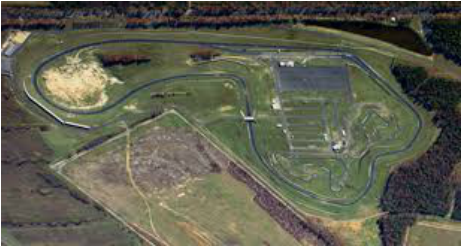 Sitting on more than 500 acres in Millville, N.J., New Jersey Motorsports Park is the premier motorsports entertainment complex in the Northeast. NJMP is conveniently located near Philadelphia and New York City, offering diverse and dynamic attractions both on and off-track. The Park includes two world-class road courses: Thunderbolt and Lightning, Tempest Raceway which is considered one of the top outdoor karting complexes in the U.S., a motorsports country club membership program known as the Drivers Club, Battlegrounds Paintball which features 10 acres of paintball fields, concert and festival space, overnight accommodations, and real estate development opportunities. Also on the property, a clubhouse features meeting space, bar/restaurant and built-in pool.